The Littlest Apple used to not have any interest in playing with playdough. He would shred it into a million tiny pieces, but that was about it. As a result, I stopped making themed playdough for a few months. But now, as he nears his 4th birthday, he’s enjoying playdough a bit more, playing with it a little longer, and using his imagination as he plays. For the last month, he’s been playing with this ice cream playdough I made. 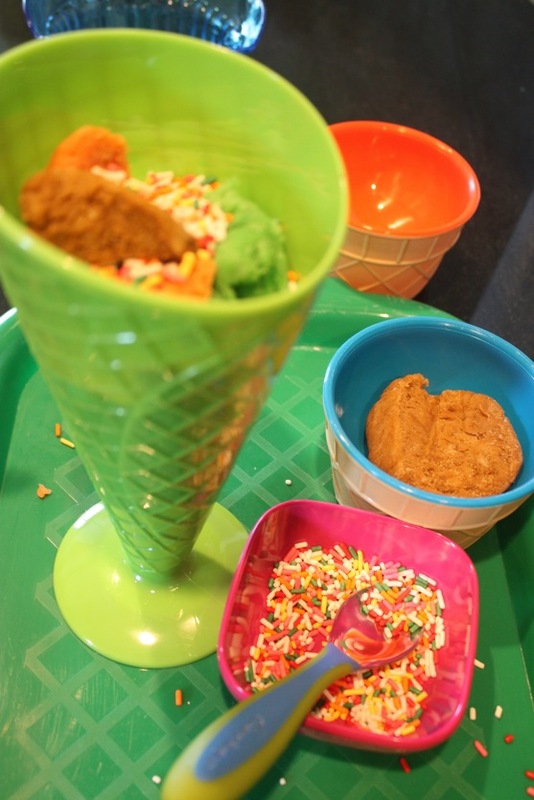 It’s just one batch of homemade playdough, divided in three parts and colored green, orange, and brown for chocolate mint ice cream, orange sherbert, and chocolate ice cream. I could have easily added scents to these flavors as well, but I didn’t this time. 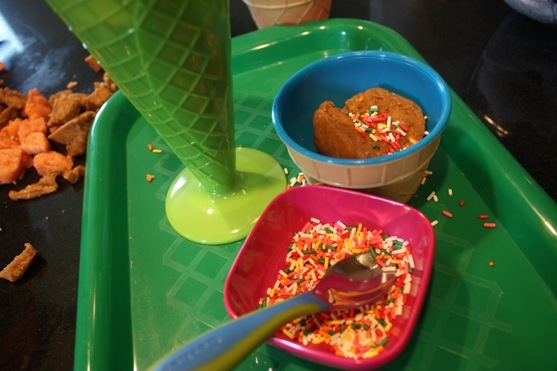 I purchased 3 different types of ice cream cups at a dollar store a few years ago, when I made the ice cream sensory bin. Now I’m using these ice cream cups to teach The Littlest Apple about small, medium and large. We play ice cream shop, and The Littlest Apple is the ice cream man. I order a medium chocolate with sprinkles, or a large with orange sherbet AND mint AND sprinkles, and The Littlest Apple creates my order. He’s had such fun with this, and now I use play dough to keep him occupied at the kitchen counter next to me while I do the dishes. 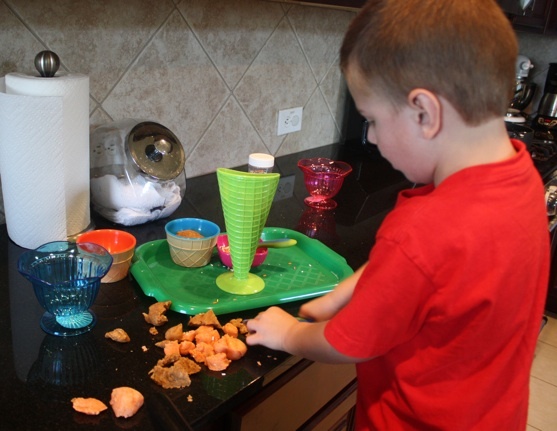 He’s also been practicing his knife skills with the playdough. Although the ice cream sensory bin would go well with this play dough, The Littlest Apple’s been busy with a sensory tub full of something else that’s cold. Stay tuned for details! Wife to The Picky Apple. Mom of 2 spirited boys, 6 years and 20 months. Lover of cooking and baking. Paleo convert. Avid reader. Arts and crafts enthusiast. Planner and list maker. 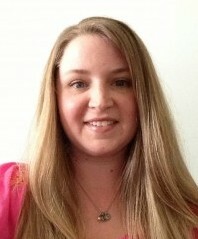 Food allergy and gastroparesis advocate. Copyright © 2019 Cara Apple. Titan Theme by Jestro.